The lounger is made from pine and hemlock which were planed down and stained with a black cherry finish with a modern minimalist style. It was commissioned to fit into a very low loft so it can be used a guest bedroom and impromptu movie watching area. 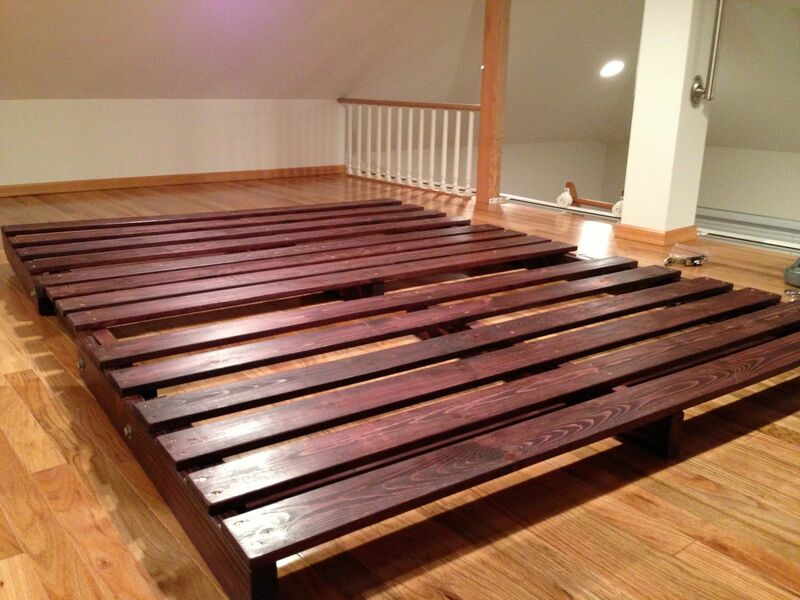 Since space was so limited it has an overall height of 35" and can turn into a queen sized bed when folded down. Local pickup is preferred for this item. Loved the product - good quality and exactly what I was looking for! 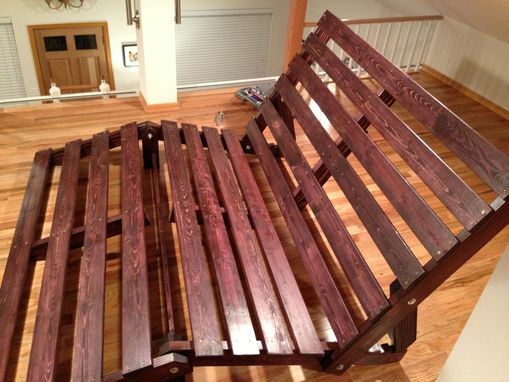 It will serve perfectly as a guest bed / movie lounger in our loft. 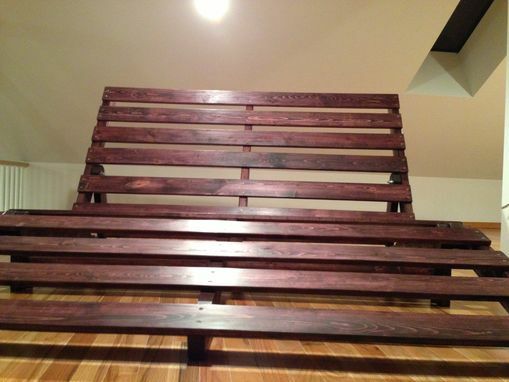 The project took just a tad longer than originally anticipated, but definitely worth the wait.